OP0087. 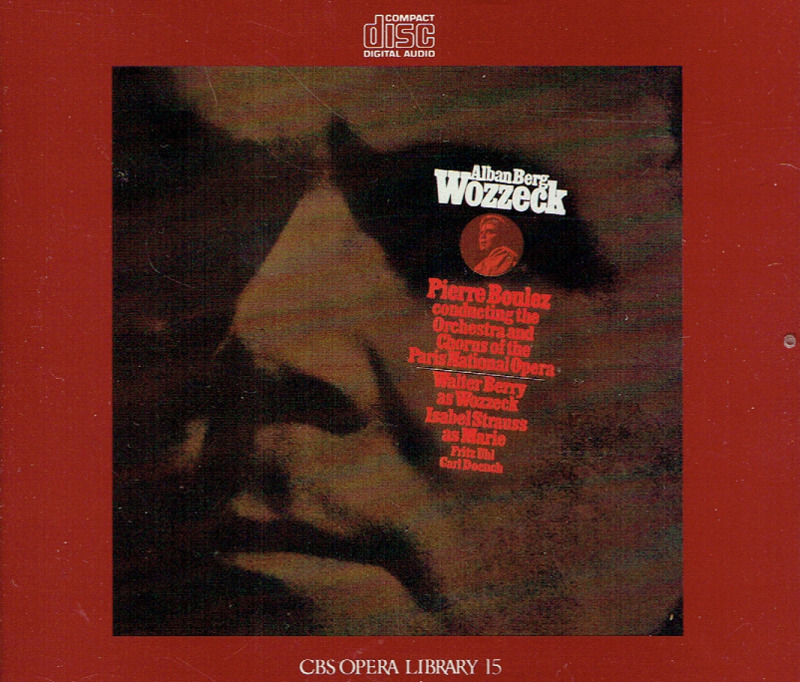 WOZZECK (Berg), w.Boulez Cond. 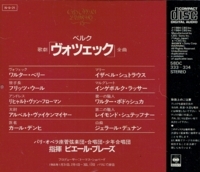 l'Opera Ensemble; Walter Berry, Isabel Strauss, Fritz Uhl, Richard van Vrooman, Carl Donch, etc. (Japan) 2-Sony 58DC333, recorded 1967, w.44pp. 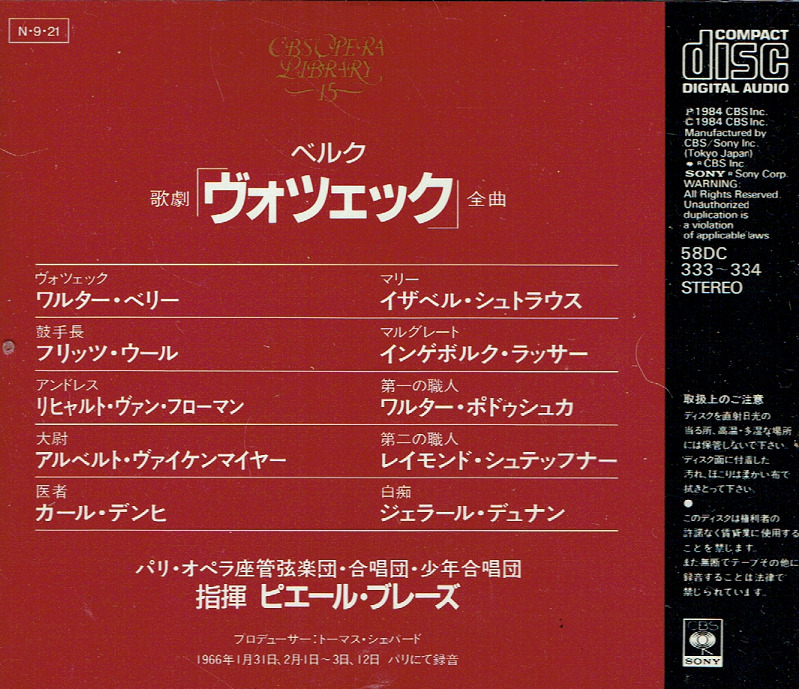 Booklet, all in Japanese. Outstanding sound quality! Very Long out-of-print, Final ever-so-slightly used copy! "Conductor Pierre Boulez is the finest interpreter of the Modernist repertoire, and his interpretation eschews Berg's lunges in the direction of Romanticism in favor of bringing out every detail in the music imaginable, at a pace which carries the listener inexorably towards the final catastrophe. Indispensable."